up NOW as a volunteer at http://orc.ieeeottawa.ca/volunteering. Mark your calendars for this year’s competition, Sunday June 2nd, 2019! smile; no programming/robotics knowledge required. Check out a previous competition at http://bit.ly/ORC2016OTTCITIZEN. robots! 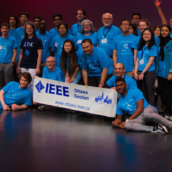 For more information on the ORC, please visit http://orc.ieeeottawa.ca or email us at orcinfo@ieeeottawa.ca. Posted by Irusha Vidanamadura on 2019-03-28 at 19:36 in News.